Dr Riyaz Baba and his team would like to welcome you to Bedford Skin Clinic. Our clinic offers an extensive range of non-surgical cosmetic solutions for both men and women. 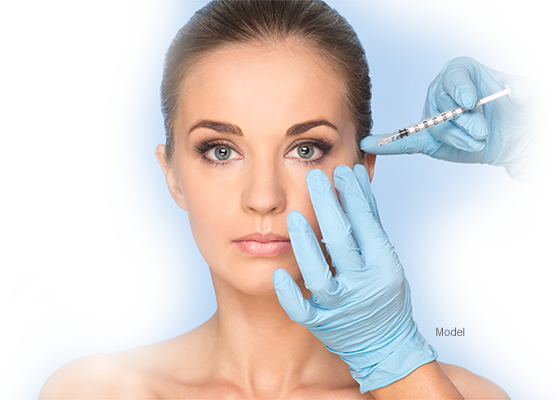 From popular injectable procedures such as Botox and dermal fillers to more complex procedures like fat grafting, our dedicated team of skilled staff are here to help you achieve the results you require. Dr Baba, the medical director of Bedford Skin Clinic, is a highly respected clinician in the field of aesthetic medicine. Founder of London Aesthetic Academy, Dr Baba and his team have trained medical practitioners from all over the world in some of the most advanced cosmetic developments. Alongside Dr Baba, treatments at Bedford Skin Clinic are carried out by a team of fully qualified and experienced clinicians who are committed to achieving exceptional and long-lasting results for clients. The clinic is set over two floors and comprises of a welcoming reception area, two procedure rooms and a laser room. We use only the highest quality products and equipment in all our treatments. The clinic maintains exceptional standards of safety and client care and consistently passes regulatory inspections. You should consider the quality of treatment and services as well as the safety and cleanliness of their premises and equipment. Bedford Skin Clinic is a safe and clean environment with a firm focus on comfort and care. Our levels of cleanliness and attention to infection control are second to none and all materials and equipment used in procedures are of the highest quality. Ask to see the qualifications and skills of their staff. Dr R Baba, MBBS, MD, FRCA, EDIC is the medical director of the clinic. He works alongside a team of fully qualified and experienced clinicians. The skill level of our clinical staff is reflected in the high standard of aesthetic results achieved in all our treatments and procedures. Ask the right questions to help you decide on whether to have the treatment. Bedford Skin Clinic is renowned for its high level of customer care. We encourage clients to ask questions and carefully consider the advice provided by our clinicians before any decisions are made. We offer an out of hours telephone number for clients requiring assistance after treatment has been provided and have highly trained administrative staff always on hand to deal with any questions and queries. Bedford, Milton Keynes, Biggleswade, Flitwick, Luton, Dunstable, Leighton Buzzard, Cambridge and Peterborough and Northampton. We have been offering our services to clients from all over the United Kingdom.